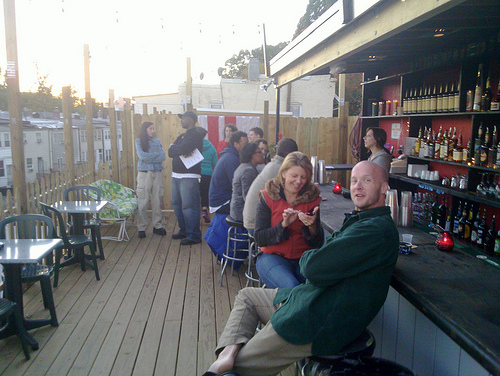 Red Derby’s unassuming, has great beer choices, and attracts a good crowd of neighborhood locals on weeknights—and its relatively new roof deck is just one more. Perched high above 14th Street, the deck affords a nice view of the neighborhood around it while taking advantage of the breezes that can make any D.C. summer day bearable. The recent addition of a roof cover over the deck means that you can even enjoy it during inclement weather; even on the coldest days the space heaters make it a great place to enjoy a drink.